Roberto Martinez was quick to shut down talk of possible contact with Real Madrid over the vacant head coach position on Friday. The Belgium boss is reportedly one of the leading candidates to succeed Julen Lopetegui on a permanent basis following his sacking at the end of October. However, Martinez insists his only concern is Belgium's Nations League matches with Iceland and Switzerland, which take place next week. "I don't want to say whether I or my agent had contact with Real Madrid," he told a news conference. "That is irrelevant and would be of little respect in the run-up to the matches against Switzerland and Iceland. That's what we're doing now." 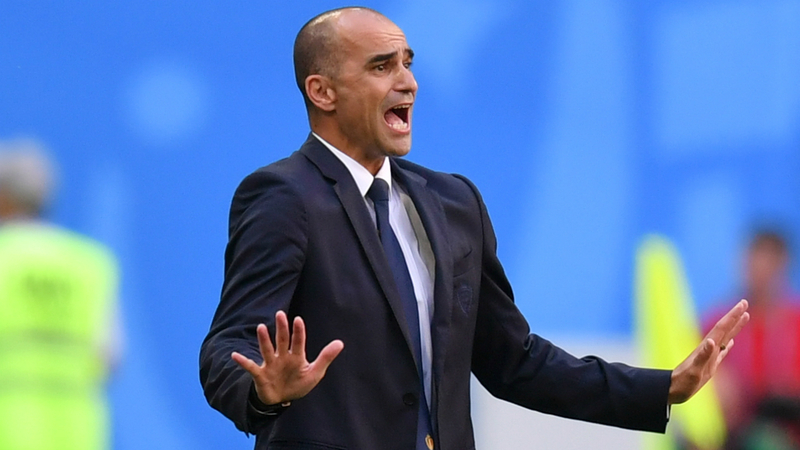 When pressed on whether Madrid could be an option in his future, Martinez replied: "I don't want to talk about anything other than the matches against Switzerland and Iceland. "I've already said that here in two languages. Should I say it through body language, or sing a song? "My message will remain the same: the only thing that interests me today is the Belgium team." Martinez has long been earmarked as one of the favourites for the Madrid job, along with former Chelsea boss Antonio Conte. However, speculation is building that interim coach Santiago Solari could be offered the role full-time after guiding them to three wins and no goals conceded in three games.